[post_content] => A judicial review into a move by the NHS to 'ban' GPs from prescribing homeopathy has reached its next stage with a final decision expected in the coming weeks. After four days of legal argument at the Royal Courts of Justice, London, Mr Justice Supperstone adjourned the case to consider his judgement. The case stems from a major consultation by NHS England in 2017 which recommended that GPs should not prescribe homeopathy for patients. The British Homeopathic Association (BHA) is challenging the move, claiming that the consultation was "fundamentally flawed from the outset" and "lacked input from any homeopathy experts or practitioners". The Society of Homeopaths is supporting the BHA's challenge. 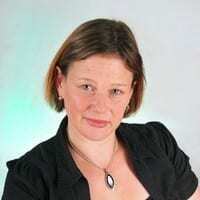 Cristal Sumner, BHA chief executive, said she was confident of a positive outcome. A judicial review into a move by the NHS to ‘ban’ GPs from prescribing homeopathy has reached its next stage with a final decision expected in the coming weeks. 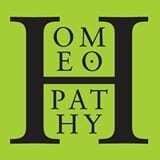 The case stems from a major consultation by NHS England in 2017 which recommended that GPs should not prescribe homeopathy for patients. The British Homeopathic Association (BHA) is challenging the move, claiming that the consultation was “fundamentally flawed from the outset” and “lacked input from any homeopathy experts or practitioners”. The Society of Homeopaths is supporting the BHA’s challenge.